In an earlier blog post I speculated on the origins of the Bücherreihe Neue Welt series produced for German Prisoners of War in the US, and contrasted it with the Penguin Prisoner of War editions in the UK. Now in a fascinating article written by Mary Burgoyne, a noted Joseph Conrad scholar, for ‘The Conradian’, there is new evidence of the real origins and intentions of the series. The series was planned by the American authorities with the public aim of meeting their requirement under the Geneva Convention to ‘encourage intellectual diversions organized by prisoners’. Behind this public justification however, papers that were kept confidential at the time, show that there was a more or less deliberate strategy of indoctrination or re-education. The availability of a source of appropriate titles from the Bermann-Fischer Verlag was more than a coincidence. 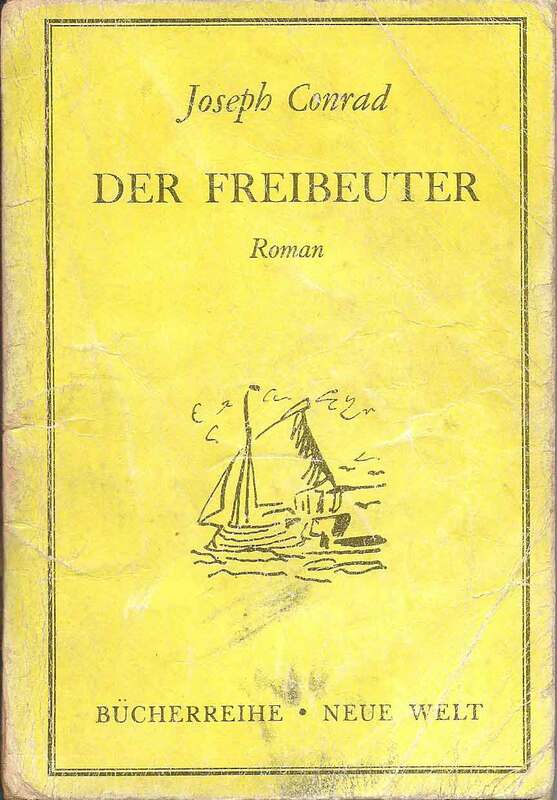 Gottfried Bermann-Fischer had been the head of the S. Fischer Verlag before being forced to flee Germany in 1936, and when he left he was permitted to take with him the publishing rights held by the firm to authors considered undesirable by the Nazis. The list of titles to which he had rights was therefore a perfect fit with the aims of the American authorities. In terms of respectability and literary merit, works by Thomas Mann, Joseph Conrad and Heinrich Heine could hardly be faulted, or labelled as merely propagandist. But they served well the purpose of re-education and de-nazification and provided cover for other works such as Stephen Vincent Benet’s ‘America’ that might have been seen as more directly propagandist. Mary Burgoyne’s article also points to an interesting link with Penguin Books and so with the very different Penguin Prisoner of War editions, produced in the UK. The ‘Neue Welt’ books were produced, not by the Council on Books in Wartime, which had responsibility for the Armed Services Editions, but by the joint venture between Penguin and the ‘Infantry Journal’, which produced the US Fighting Forces Penguin Specials.